Doesa anyone know where I can find the "not funny" meme featuring Paul? 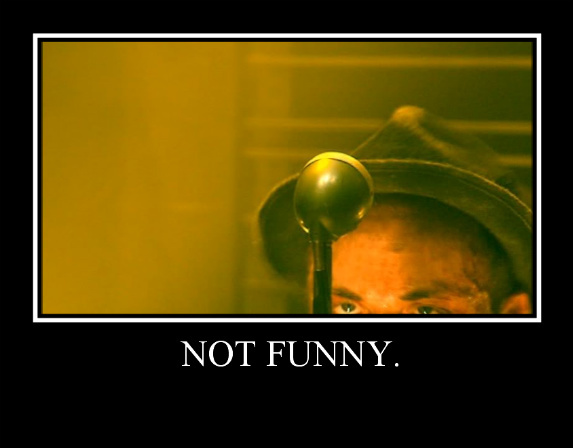 If you haven't seen it, it's a picture of Paul onstage, wearing his trilby, but all you can see is the top of his head (so bottom of his nose up), with a microphone clearly set up way above what it need sto be for him, with the caption "not funny" underneath. In actuality its is bloody funny, which is why I'm desperate for another copy if anyone can help me? That's the one!! Thank you, thank you, thank you a million times! !